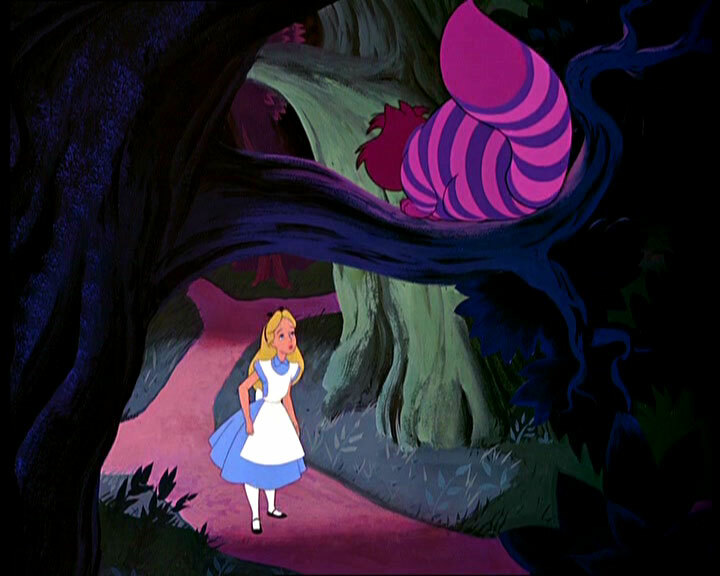 Buy Alice's look: Shirt , $24.50 ; Jeans, $102 ; Shoes, $129.99 ; Bag, $30.11 ; Ring , $15 ; Earrings , $12.99 ; Bow, $2.80. Buy Cheshire's look: Shirt , $98 ; Jeans, $25.99 ; Shoes, $85.97 ; Bracelet, $5.25 ; iPhone cover , $6.99. 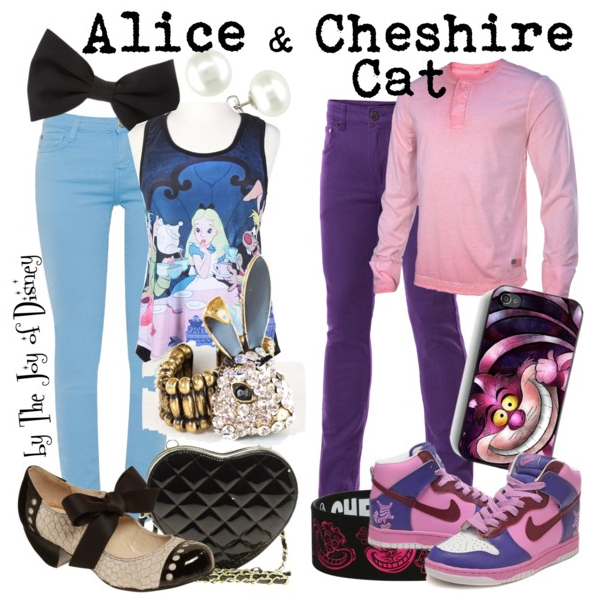 Casual couple outfits inspired by Alice and the Cheshire Cat from Alice in Wonderland!